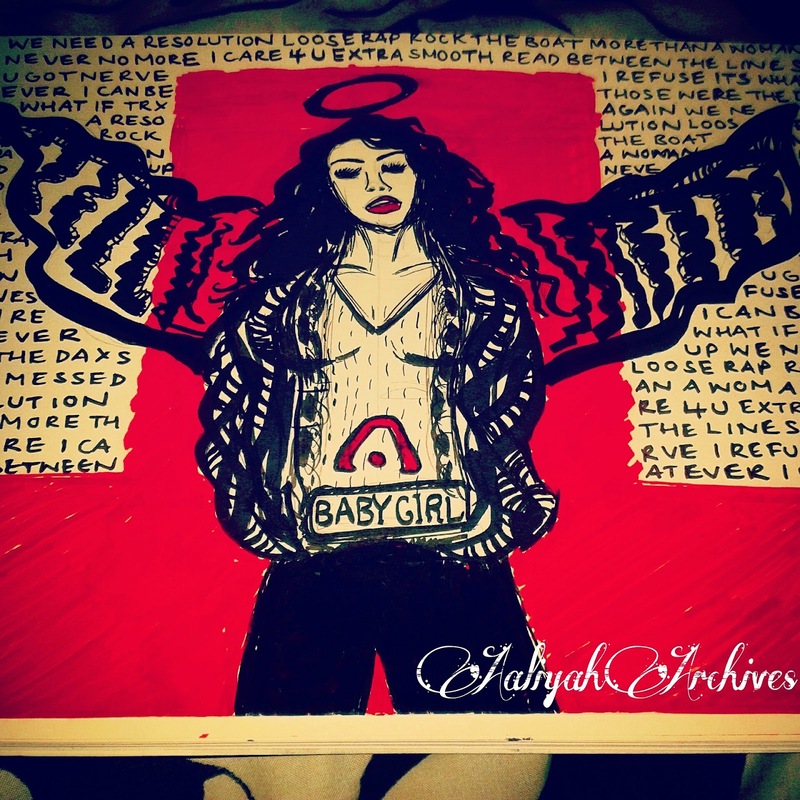 Aaliyah Archives: Happy 13th Anniversary to Aaliyah's Self Titled Red Album! Happy 13th Anniversary to Aaliyah's Self Titled Red Album! Drawing I made especially for the 13th Anniversary. So today marks the 13th Anniversary of Aaliyah's self titled red album! So as a special tribute today, I have showcased some of my personal collection, along with a drawing I did. Something which I am starting to get back into again, since I have always been quite a creative person! :o) Now...I have been showing love everywhere else, but my blog is the main spot where I should be showing majority of my love. I did have a few issues before, but hopefully they should be ok now, so I do apologise if I have replied back late to emails, and not posted as much, so just letting you all know that I am alive and not just a ghost page! lol! It's hard to believe that it's already been 13 years since Aaliyah's 'baby' as she called it, came out, and after all these years her music still continues to sound so fresh to this very day. I can honestly say that this album was way ahead of its time both musically and lyrically, with the likes of Timbaland, Missy, Static Major, J-Dub, Bud'da, Black etc... It's no surprise why this albums longevity has still remained over these past years and counting.